The airport was captured during the war by German forces and renamed ‘Fliegerhorst Schiphol'. It was bombed and massively destroyed by the end of 1943 so that it could not be functionally used as an airbase anymore. Afterward, the airport remnants were fundamentally destroyed by Germans, however, was restored soon enough by the end of the war in 1945. The construction of the new terminal was finished by the moment of 1949 and the decision of the airport to be the main air hub of the Netherlands was implemented. 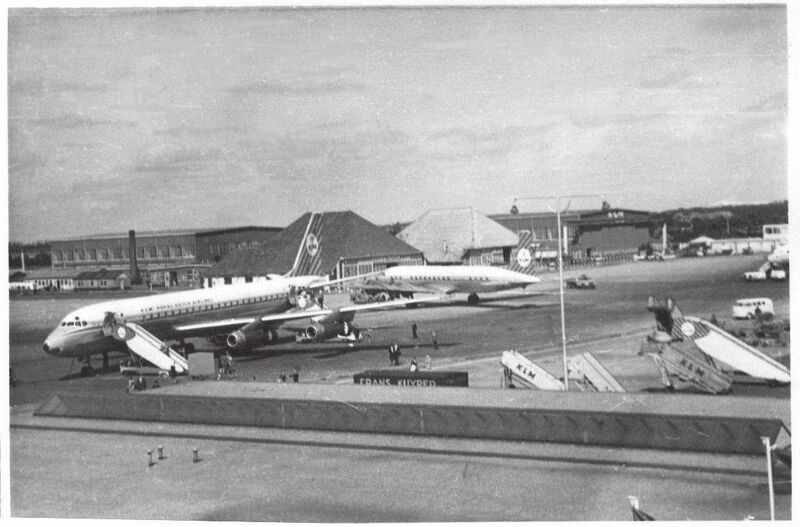 In 1967 the airport was expanded by adding another terminal area at its nowadays location. Most of the terminals built back then are still in use at the moment (Departure Halls 1 and 2). In 1970 few renovations were implemented to allow wide-body airliners and cargo aircraft (as Boeing 747) to use the boarding gates of an airport. The year of 1977 followed up with the trend and a new pier (now called F) was opened. Additionally, the very first rail station was built under the airport in 1978. The construction of the most recent terminal was finished in 1994 and expanded in 2007 with the Terminal 4, which is, indeed, not considered as a separate building. The new terminal is planned to start its operation in 2019-2023, that, in turn, would end the concept of the one-terminal airport.